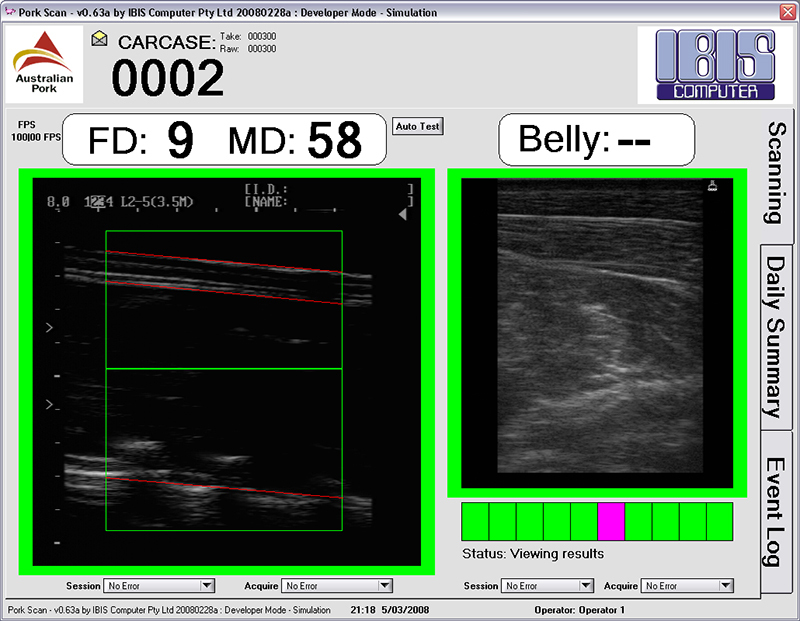 PorkScan is an AusMeat Certified carcase grading system, developed by IBIS Computer for Australian Pork Ltd in conjunction with GreenLeaf Entertprises. It was deployed into four consortium partner abattoirs with positve results. Rapid real-time analysis (achieved<40ms) so operator can re-take images if required before carcase has moved away.